Children and residents enjoy each other's cuddles and company. 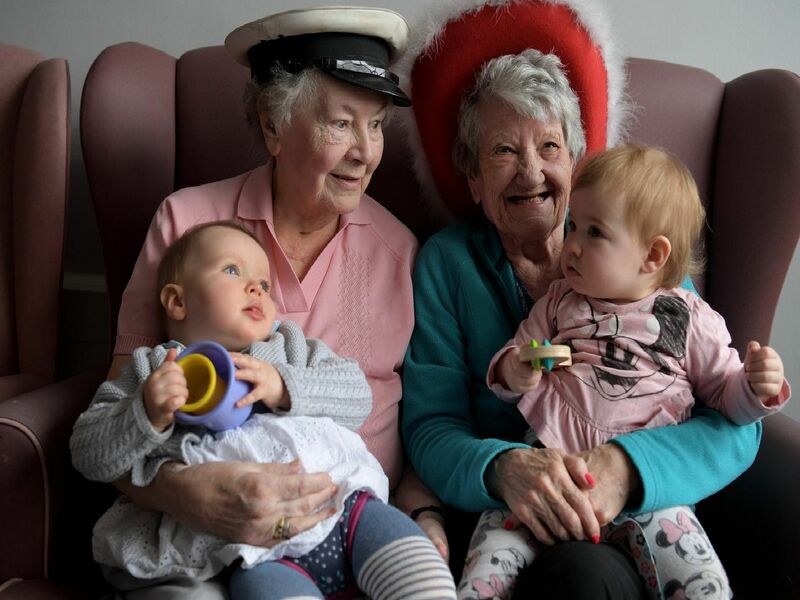 Jess Lyon, the nursery manager, said: "As we are facing an epidemic of loneliness in old age, the nursery children regularly visit the local care homes, engaging in the wider community." It is a Hygge, pronounced Hoogah, nursery and derives from the Danish art of creating joy in the small everyday moments. Children played with toys and instruments.